Mark Beech and Peter Hellyer (eds.). 2005. 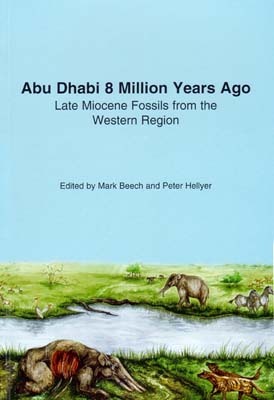 Abu Dhabi 8 Million Years Ago - Late Miocene Fossils from the Western Region. Abu Dhabi Islands Archaeological Survey (ADIAS)/ Dar Al Fajr Printing Press, Abu Dhabi, UAE. 68 pages; 73 figures, maps, plans, drawings, photographs. Available in English. Price: 20 DH (equivalent to $ 5 USD), available from ADIAS. Peter Hellyer & Michele Ziolkowski (eds.). 2005. 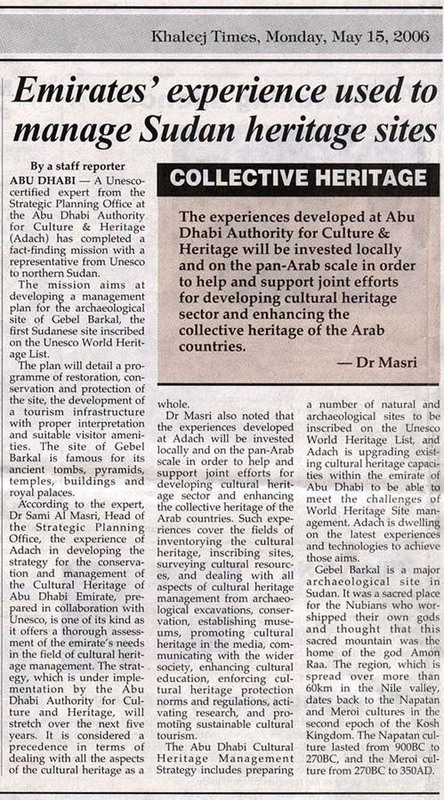 Zayed Centre for Heritage and History, Al Ain. 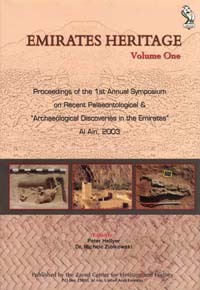 The work of the Abu Dhabi Islands Archaeological Survey (ADIAS) undertakes data collection and preliminary recording of archaeological and palaeontological sites and publication of earlier and continuing work, both in Abu Dhabi, and, through associates, elsewhere in the United Arab Emirates. This work is undertaken both as part of a continuing research programme and as contracted work for consultancy companies and others prior to the carrying out of development project. 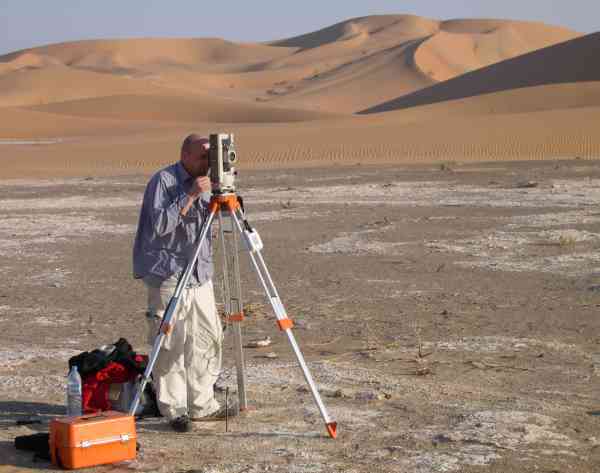 Dr Mark Beech, former ADIAS Senior Resident Archaeologist, joined the Abu Dhabi Authority for Culture and Heritage (ADACH) as Head of Division - Cultural Landscapes. Dr Mark Beech participated in the Symposium on the "Status and Conservation of Dugongs of the Arabian Gulf, Red Sea and Western Indian Ocean", organised by the Environment Agency in Abu Dhabi, and sponsored by Total. He presented a paper entitled: "An archaeological perspective on the exploitation of dugongs in the Arabian Gulf". Visit our publications page to purchase or download other ADIAS publications. Hellyer, P. and S. Aspinall, 2006. 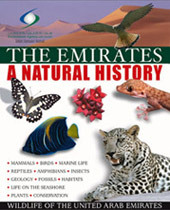 An archaeological and ecological curiosity - Terebralia palustris (Linnaeus, 1767) in the north-east of the Emirate of Abu Dhabi. Tribulus 16.1: 10-13. Beech, M., H. Kallweit, R. Cuttler and W.Y. Al-Tikriti. 2006. 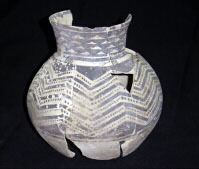 Neolithic sites in Umm az-Zamul. Bulletin of the Society for Arabian Studies 11: 17-26. [ to download this article in Acrobat.pdf format click here (1.67MB) ] . Carter, R.A. 2005. The History and Prehistory of Pearling in the Persian Gulf. Journal of the Economic and Social History of the Orient 48/2: 139-209. 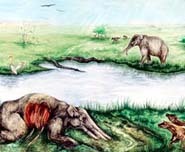 [ to read the abstract of this article click here] . Kallweit H., Beech M. & Al-Tikriti W.Y. 2005. Kharimat Khor al-Manahil and Khor Al Manahil  New Neolithic sites in the south-eastern desert of the UAE. Proceedings of the Seminar for Arabian Studies 35: 97-113.